Drinking tea when it is too hot may increase the risk of esophageal cancer in those who smoke cigarettes and consume alcohol daily, a new study warns. However, tea aficionados do not have much reasons to worry as the researchers found that in the absence of both excessive alcohol consumption and smoking, daily tea drinking was not associated with esophageal cancer risk. “Drinking hot tea contributed to cancer only when it clustered with smoking and drinking alcohol excessively,” lead author Jun Lv, Professor at Peking University in Beijing was quoted as saying by CNN. Esophageal cancer kills approximately 400,000 people every year, according to the International Agency for Research on Cancer, cancer research arm of the World Health Organization. For the study, the researchers followed for about 10 years 456,155 participants aged 30 to 79 in China. Participants in the study who drank high-temperature tea, consumed alcohol excessively and smoked had an esophageal cancer risk more than five times greater than those who had none of those three habits, said the study published in the journal Annals of Internal Medicine. 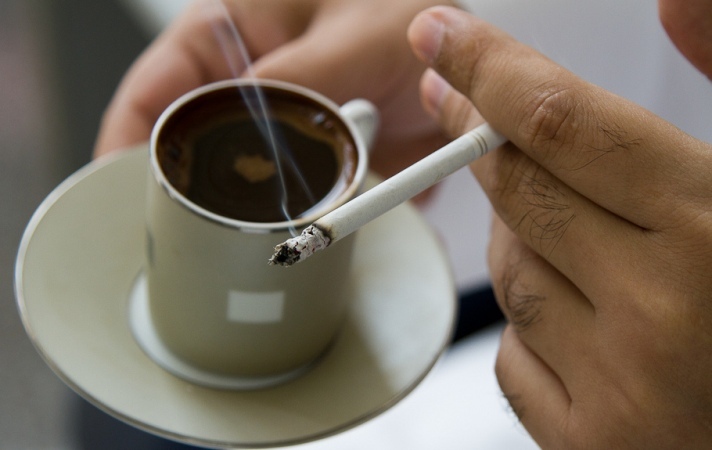 Tobacco smoking and alcohol consumption – both of which are known to cause esophageal cancer – as well as the chemical compounds and adverse thermal effect of hot tea, considerably complicate the association between tea drinking and cancer risk, the study suggests. The researchers found a synergistic association between hot tea drinking with excessive alcohol consumption or smoking and the risk for esophageal cancer.